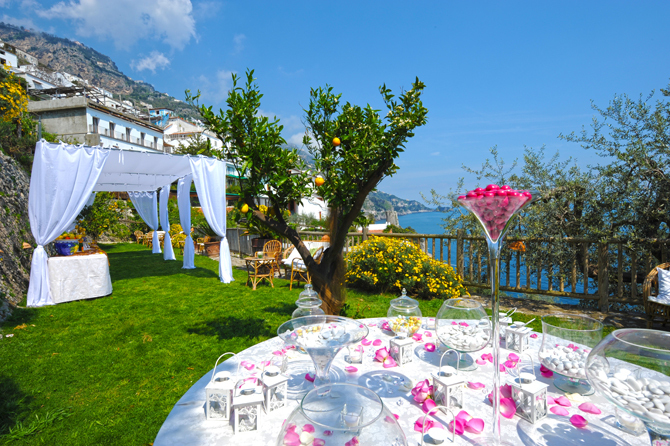 Fabulous Wedding Location on the Amalfi Coast for a romantic wedding in Praiano! The colors and the wonderful atmospheres of the Amalfi Coast, the professionalism that we have been offering for three generations and our splendid Location for your unforgettable Marriage in Praiano! 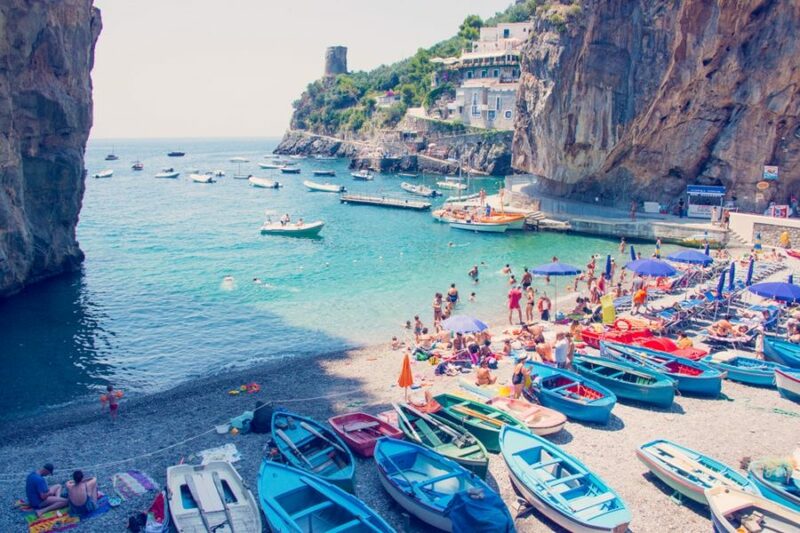 Our wedding location on the Amalfi Coast will offer you romance, excellent cuisine, and unique scenarios in the world. Organize your wedding in Praiano on the Amalfi Coast, surrounded by a fabulous view, overlooking the sea, with enchanting settings and a service with attention to detail. For any important event you wish to celebrate, and in particular for your Marriage in Praiano, trust us with confidence: an exclusive wedding venue, our more than ten-year experience is at your service and will give to you and your guests a memorable Wedding on the Amalfi Coast. 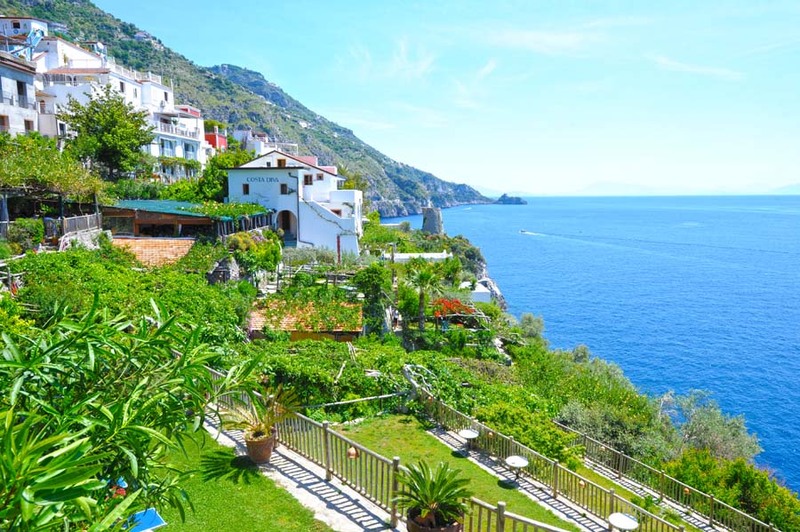 The dream of a Marriage in Praiano in a charming wedding location on the Amalfi Coast! A Marriage in Praiano on the Amalfi Coast among the pergolas of lemons and oranges, on terraces overlooking the sea: the Hotel Costa Diva in its magical wedding location will give you the most unforgettable moments of the Amalfi Coast, with a personalized menu chosen carefully. Your wedding in Praiano, cocktail parties, aperitifs, birthdays, communions, ceremonies, and events can be celebrated in a romantic and cheerful location, in the beautiful scenery of the Amalfi Coast, relying on the chefs of the Hotel Costa Diva who will delight your palate with tasty and genuine dishes. Contact us! Our staff will satisfy all your needs, taking care of every detail of your Marriage in Praiano on the Amalfi Coast, and make the location of your dreams unique.